This year we are looking to take on four new Apprentices. 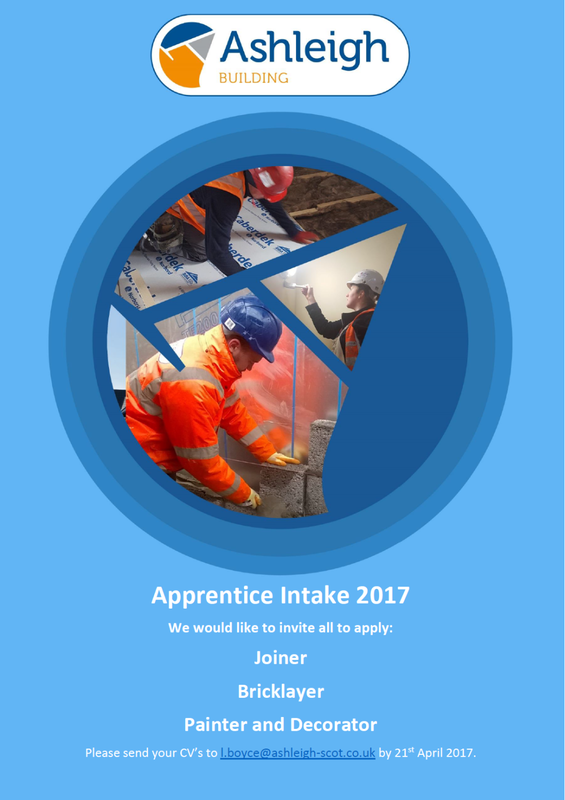 Two Joiner Apprenticeships and one Bricklayer Apprenticeship within the Ayrshire Area, and one Painting and Decorating Apprenticeship within the Dumfries and Galloway Area. Our application process starts now and we would like to invite all who are interested to apply. Closing date for CV’s is the 21st April.